No. 33, Jalan Industri USJ 1/12, Taman Perindustrian USJ 1, 47600 Subang, Selangor, Malaysia. 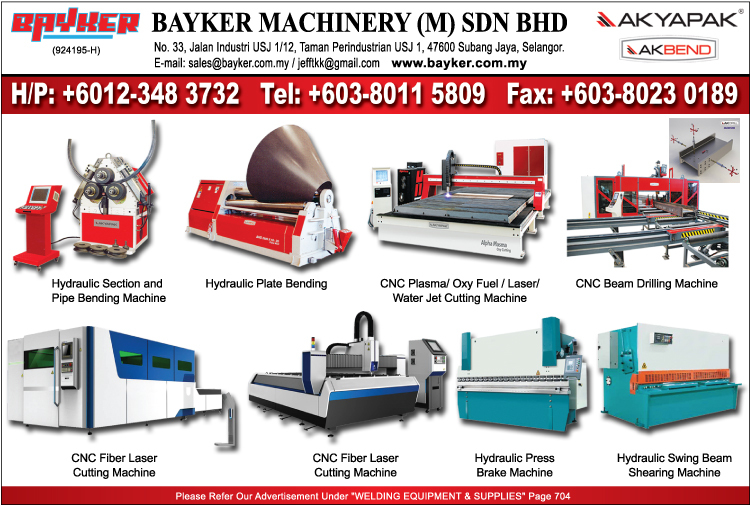 Bayker Machinery (M) Sdn. Bhd. is a company that sells machines that does CNC Plasma Cutting and Metal Bending. Even though the company is newly established, around 3 years, the owner of the company has more than 10 years of experience in the business. This provides Bayker Machinery with the necessary knowledge and experience that is needed in providing the customers with the machinery they need. The CNC plasma cutting machine is used to cut mild steel, stainless steel and aluminum with precision and effectiveness. The cutting is done by a powerful heating plasma controlled by a computer. The computer will measure the cutting space and will cut precisely according to the design input into the computer. This will help to cut more effective and efficiently without wasting precious metal. Bayker Machinery also carries our own brand “BAYKER”. 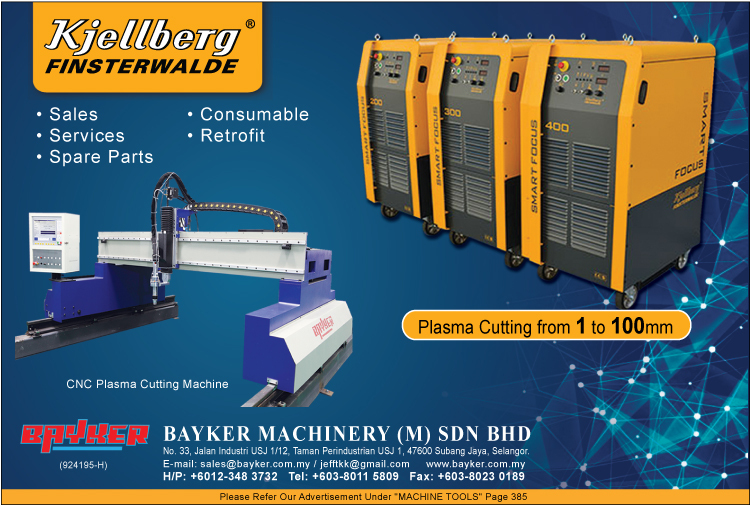 By sourcing high quality components from all around the world, the BAYKER cutting systems offers customers another alternative to an affordable and yet high quality cutting machineries without ever compromising results. Use BAYKER and you will not regret ever buying it. Another brand that Bayker Machinery carries is the AKYAPAK brand from Turkey. We exclusively provide AKYAPAK machineries that are used to bend sheet metal. These machines can be used to bend sheet metals to make cylinder tanks, silos, ship building, steel structures and other various applications to various industries such as oil & gas, engineering, palm oil, etc. All purchase of Bayker Machinery products comes with a one year warranty. The customers also are entitled to free maintenance and service of the machines. Technicians & workers are sent to the principal company in Turkey for training. This would make them an expert in the products thus becoming more effective and efficient when doing their job. Reducing risk and error.